I am Hirofumi Takahashi. I spent my first twenty years growing up in a relatively small town in Hiroshima, Japan before I came to the US. My parents used to run a small business selling fish to local folks. Despite a lack of material wealth and awful smells from fish waste, I was always proud of my parents. Since they are busy working, my sister, who was just one year older, always played a role as my guardian with help from our apartment neighbors. 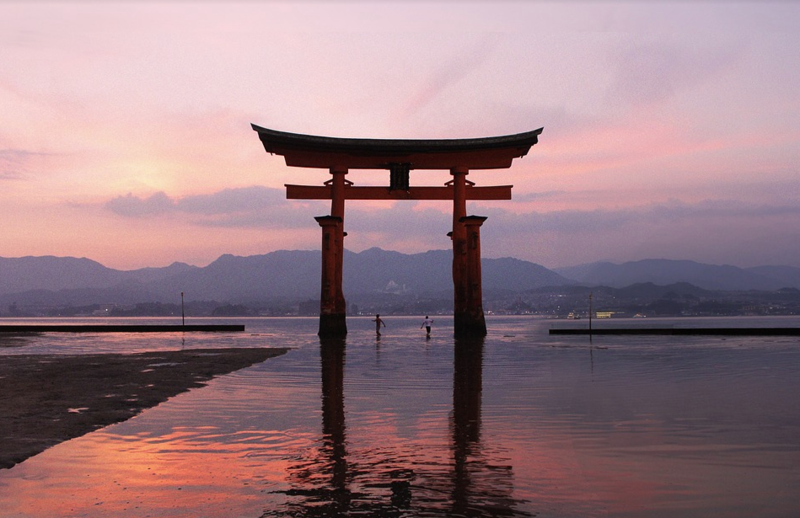 My religion was based on a combination of Buddhism and Shintoism, which is still common today in Japan. My grandparents on my mother’s side are devoted to a local shrine which was partially built on their land. My parents used to take us there to pray at least once a month to remove our Takahashi family’s sins and to pray for prosperity for my family. Despite spiritual guidance from my parents and other family members, as a teenager, I started to seek for truth of life from an earthly point of view. After spending years with serious thoughts about life and God, my belief was that God never existed. Humans created him in their mind so that they can find a meaning of our life especially when they face hard times and experience unfair treatment by others or society. I used to believe that in order to have a good life, I must take control, educate myself, make good money, and depend on logic, not invisible power. This life philosophy seemed to have worked for a while, but never answered my deep life questions: What am I here for? Why do I feel empty despite material wealth? Why does my heart warm up when someone touches me with pure kindness? and Why do I feel like crying when others go through hard times in life? It was clear that I needed a spiritual foundation with truth. God knew my struggle and kindly arranged people and occasions for me to learn about Him over the past 10 years, but I never took them seriously. I rather used Scripture as “good life quotes” and applied them whenever it was convenient. However, going to New Vine Community Church and having a Bible study with Quyen, Andrew and Tateyana changed me little by little. I saw how wonderful these people are and felt that I wanted my family to spend more time with them. Slowly I realized that they were imitating Christ, who is the image of God. There are many reasons why I came to faith in Christ. If I tried to describe it briefly, it is because my heart cries out for Him when I learn about Him. How He descended from heaven to save us from our sins, how He treated others, how He humbled himself, and how He demonstrated love. His actions and words touched my heart so deeply. Then, one day a missionary, Tim, from Taiwan, clearly explained that it was my fear of losing control and completely surrendering to the Lord that prevented me from becoming a Christian. I thought God was talking to me. That moment, I was able to let go. I was able to liberate myself from all my previous briefs and life philosophy to simply take His hands and start to live fresh. I am committed to be a servant. I will let God use me to complete His goals. Although I still have fears and uncomfortable feelings, I am looking forward to my new life with Christ in me. I am Rosa Melgar-Takahashi. I was raised in a Cathodic family and was baptized at the age of one. I used to attend Sunday mass and additional Sunday class every week until I had my first communion. However, going to Church did not have much meaning to my life and eventually I stopped attending when I was a teenager. Since my husband was a non-believer and the Bible made little sense to me, my life was occupied with more of earthly matters than Christian life. However, I always believed that God was there for me and Christ was my Savior. I prayed every day. I prayed that someday my husband would go to church with me and eventually he would believe in Christ, which came true on this Baptism day. When I was a college student, my Dad suffered from a stroke and the doctors did not believe that he would survive that night. Miraculously, he survived. Since then, my belief in God became a reality. I am committed to developing characteristics that Christ showed on earth and to loving each other.